From well known stars of other sports to comedians and actors, there is quite an array of players who donned their county's jersey back in the day. Let's get the obvious one out of the way first. Irish and Sunderland legend Niall Quinn had already made quite a name for himself before he crossed the water to begin his professional soccer career. In 1983, a 16-year-old Quinn lined out for Dublin in the All-Ireland Minor Hurling Championship final. There's even footage of him in action. The current Hibs manager has guided Celtic to victory over the likes of Barcelona but he has also appeared in an Ulster minor football final. He played in the 1989 final for Armagh against Derry but they lost on a scoreline of 2-15 to 2-03. Probably the only BBC presenter to have hurled at intercounty minor level, O'Briain managed a half a match for the Wicklow hurlers in his youth. Unfortunately a dodgy knee and impending international fame put paid to his GAA career. 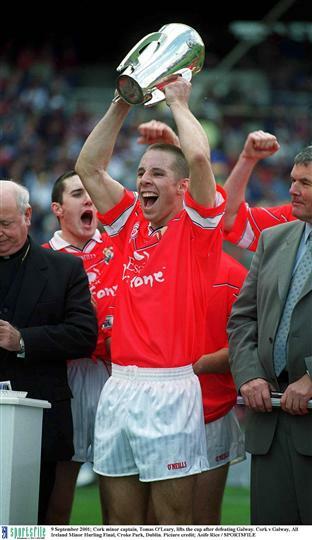 One of the most underrated players in Premier League history and also one of the most underrated hurlers in Ireland. 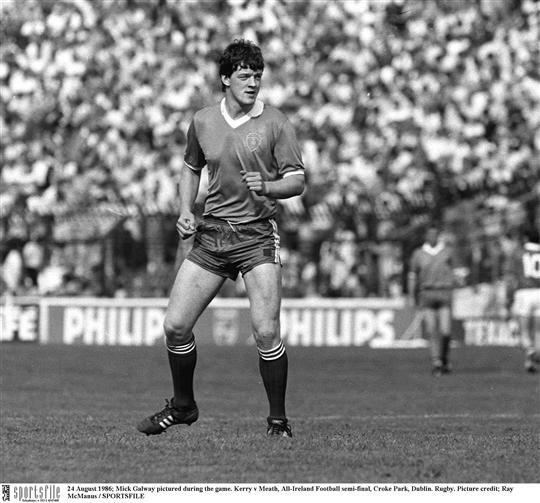 Irwin was reportedly brilliant as an underage player with his club St Finbarrs GAA and rumours are that he was marking Niall Quinn in the 1983 All-Ireland semi final but that could be just a tall tale. Another famous Cork sports star who made quite the impression in underage hurler is former Ireland scrumhalf Tomas O'Leary. O'Leary not only played for the Cork minor team, he captained them to an All-Ireland title. Staying with Irish rugby, Mick Galwey has quite the record in GAA. He played not only for the Kerry minor football team but would go on to also represent them at U21 and senior level. The Currow clubman has also won medals at minor, u21 and senior level. Definitely the most famous person to ever play minor football at intercounty level. Chris O'Dowd was a goalkeeper on the Roscommon minor team in the late 90s and heir to the throne of his hero growing up; Shane Curran. The former lead singer of The Blizzards can be seen regularly on The Voice of Ireland but many moons ago Bressie made a name for himself as a rugby player and a Gaelic footballer. Before he went on to join the Leinster rugby team, Breslin played minor football for his native Westmeath. Having had the terrible misfortune of playing against him, I can certainly vouch for Cillian Sheridan's football ability. 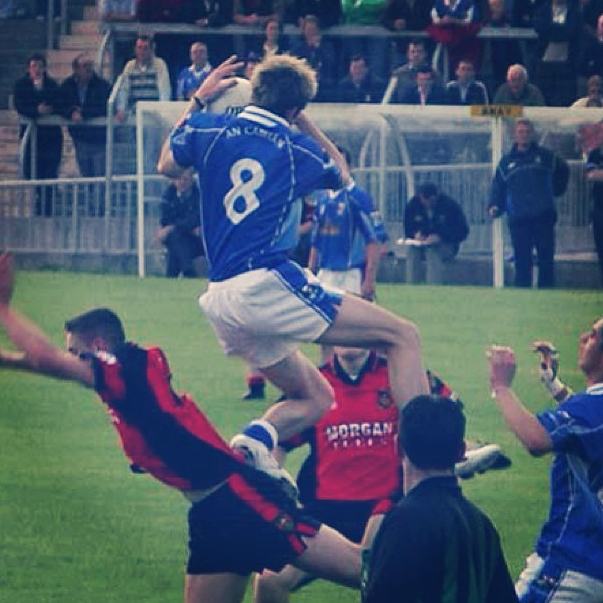 He was arguably the best underage Gaelic footballer Cavan have produced in 20 years. Sadly for the Breffni county he left Ireland to join Celtic, shortly after he kicked two glorious points in the Ulster Minor Football Championship against Down. Another Irish comedian who boasts a GAA background, Patrick Kielty actually has an All-Ireland medal. 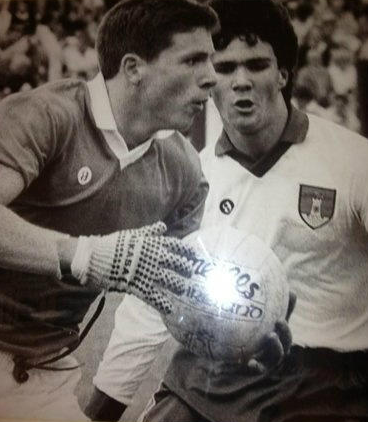 He was the sub goalkeeper on the Down team which won the All-Ireland Football Minor title in 1987. 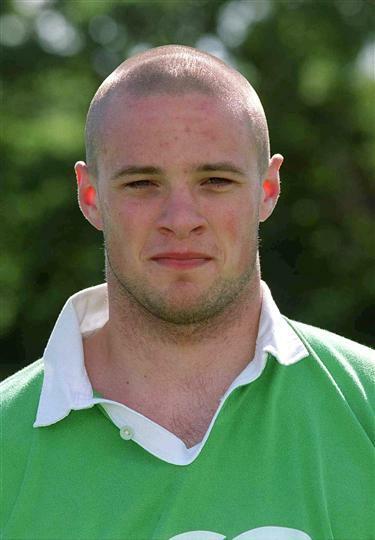 Possibly the most handsome man in rugby was once possibly the most handsome man in Gaelic football. Kearney played minor football for Louth before moving on to become a professional rugby player. That's him third from the right in the back row. It's no secret that Shane Long perfected his running down the channels skills as a young hurler in Tipperary. 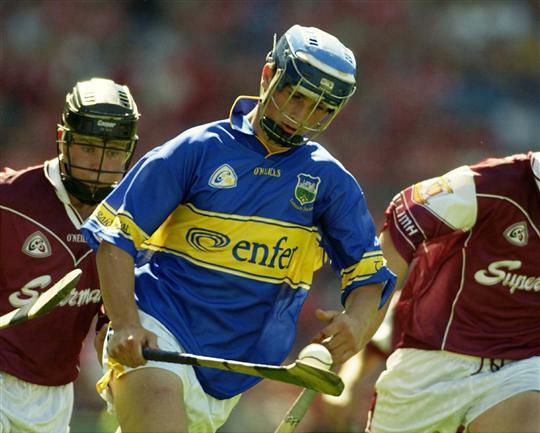 The Southampton striker was no ordinary player, he in fact played for Tipp in two All-Ireland minor semi-finals, in 2003 and 2004. If Tommy Bowe didn't make it as a rugby player then there is a good chance he'd have a couple of Ulster football titles under his belt. 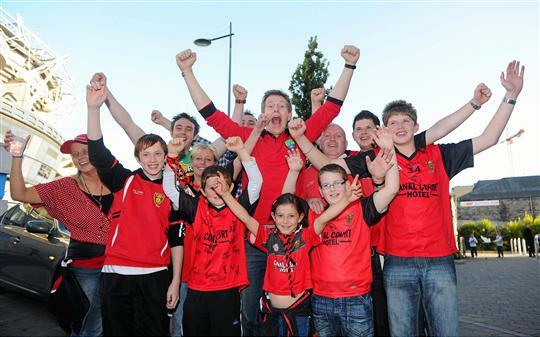 Bowe played football for Monaghan at minor level and his club Emyvale. 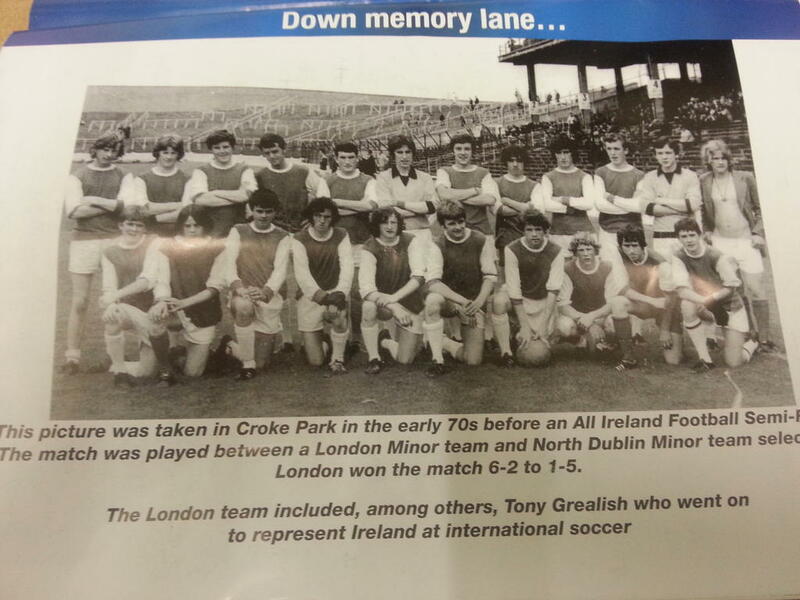 I kid you not, but the English born former Republic of Ireland international Tony Grealish played a minor football match in Croke Park for London against Dublin in the early 1970s. 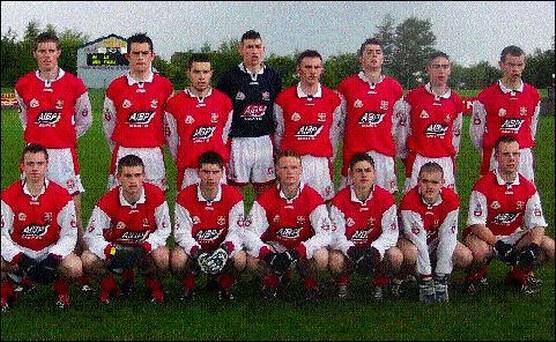 They won the game 6-2 to 1-5 and were also responsible for perhaps the coolest team photo in GAA history. Look at the guy in vest with no top on the far right.